If you have waste and rubbish that needs to be removed, whether for residential, commercial or industrial projects, we can help. Talk to the team and let us help you find the perfect size product for your needs. Our cheap skips are delivered promptly all over Melbourne and we have built a reputation as the number one business for waste receptacle hire in the area. 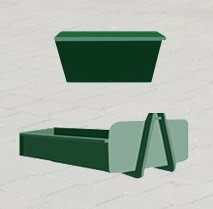 Our bins include the mini size, which measures 2m³ and is suitable for small amounts of household and garden refuse. The huge 12m³ containers are well suited to building sites and industrial sized loads. All of our products are competitively priced but exclusive of any permits that local councils in Melbourne might require. If you are unsure about what sized skip you need for the job, our professional staff will be more than happy to advise you on the most ideal system for your project. The charges applicable vary from area to area depending on the capacity, the local council you are in, and the distance from our warehouse. However, we will arrange the permit and the insurance required to make the process smooth and hassle-free. Our accreditation with all councils across Melbourne makes us the perfect choice for cheap waste and rubbish bin hire for waste removal and rubbish removal in Melbourne. Rubbish skip hire is available for 3 – 4 days as standard for mini and full size units throughout Melbourne. However, if you require a waste or rubbish receptacle for an extended period of time, simply give us a call and we can organise a duration to suit your needs. We service a huge area, from Bayside to Whittlesea, Hume to Wyndham, if you’re in Melbourne and in need of skip, we are the people to call. Once you make the arrangements, we deliver and collect promptly. We work six days a week from 7.00am, so you can have a skip delivered before breakfast and get an early start. Whether you are cleaning out the house and garage for spring, landscaping your backyard, or working on a building site, we’ll provide you with a rubbish skip that’ll get the job done. Talk to us, the experts, and we will help you choose the cheap mini skip or bin that is just the right size you require, for any job. We will arrange all the details, cut through the council red tape, and help you to get your rubbish removal and waste removal project underway with a skip from us, wherever you are in Melbourne. For more information on any of our services, or to make a booking, please don’t hesitate to contact us by telephone or email. We like to think of ourselves as Melbourne’s experts, so call us today and let us help you find the perfect and cheap system for your project. A clean environment is a healthy environment – make sure your surroundings are clean and clear of any waste, rubbish and debris by arranging for a skip bin hire for your Melbourne neighbourhood. Like everything else has a proper place, it is important to find an effective mechanism for getting rid of trash and waste. 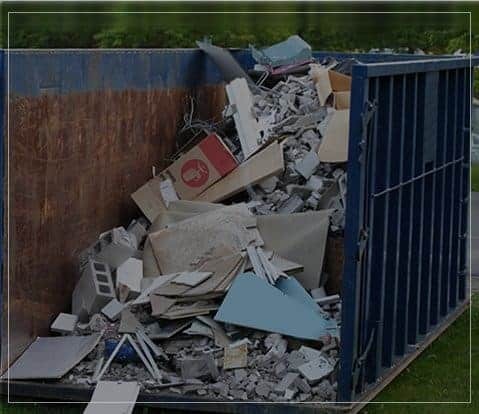 If you have just got done with home renovations or remodelling of your commercial set-up in Melbourne and have lots of waste and debris to transport, our mini skip hire is the perfect solution for effectively and efficiently removing the waste from your site. If you are the owner of a business in Melbourne then you have great responsibility for ensuring that the waste disposal from your plant does not cause harm to the environment. If you are a socially responsible business owner in Melbourne then you can give us a call and arrange for our bin hire service so you can get rid of your waste before it becomes a hazard for the local community. 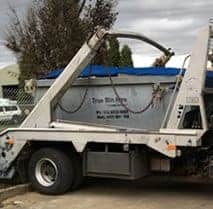 In order to encourage you to put away trash in a proper manner, we provide our skip bin hire services in Stonnington, Banyle, Whitehorse, Port Phillip and so on. at highly competitive prices. If you are into community services and have arranged for a clean-up session of your Melbourne neighbourhood, you can complete your project with convenience by arranging for mini skip hire from us. We can provide as many skip bins as you require. Protect your health and the health of others by getting rid of the trash properly. Give us a call at True Bin Hire and we will provide proficient mini skip hire services to you in any location of Melbourne!